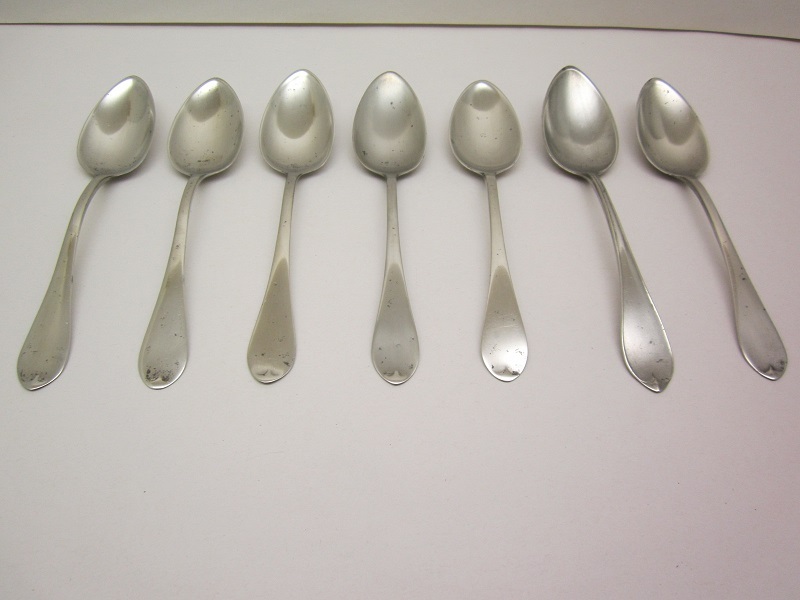 I am pleased to offer this set of seven fine tablespoons by the Meriden Britannia Company of Meriden, CT circa 1855. One of these seven spoons are slightly different in design. They are in very good condition.